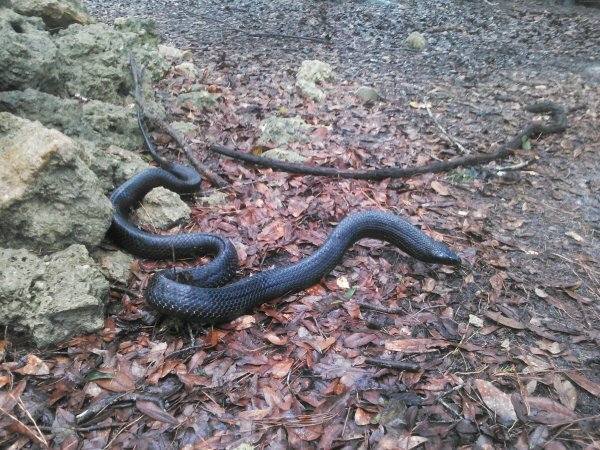 An amazing shot of this Indigo Snake in the field in our herp photo of the day uploaded by kingsnake.com user ACO3124! Be sure to tell them you liked it here! Coiled and posed, a western massasauga on the defensive. Although the various massasaugas, be they eastern, western, or desert, that I have encountered have moved away at reasonable speed, none, until my recent meeting with western massasaugas, Sistrurus catenatus tergeminus, in Kansas, had I thought of as “speedy.” But those Kansas examples have definitely altered my (and Jake’s) impression of this taxon. The reactions of these snakes, even when approached slowly and carefully, was a headlong dart from the coiled basking position in the grassy center of the road to the safety of the edging rocks. Seemingly with the alacrity usually associated with a basking racer, the crotalines were, if not out of mind, at least out of sight. But we finally managed to find one that, more relaxed than the others, allowed us the hoped for photo ops. The best part about corn snakes is their wide variety of looks, like this Striped Sunglow Motley in our herp photo of the day, uploaded by kingsnake.com user jcherry! Be sure to tell them you like it here! 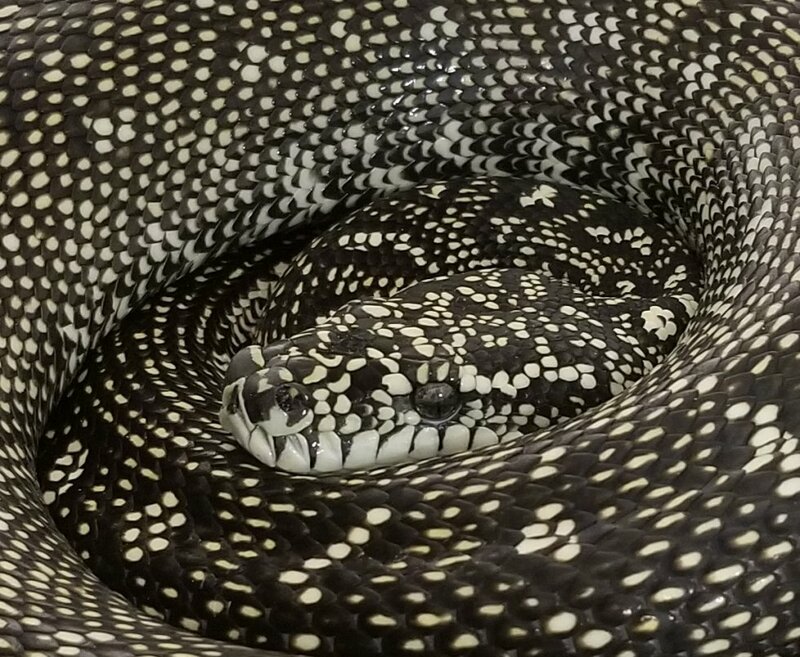 This Diamond Python in our Herp Photo of the day, uploaded by kingsnake.com user CincyGrady really can be a girl's best friend! Be sure to tell them you liked it here! Central Kansas. Our targets were twofold—a western hognose, Heterodon n. nasicus, and a prairie rattler, Crotalus v. viridis.The afternoon sun shone from a cloudless sky with a palpable force. Despite being basically white in color the roadway we were on was uncomfortably hot. If herps were to be seen at all it would be fleetingly and probably at roadedge. A few minutes before sunset Jake spied the first, a juvenile speckled king snake, Lampropeltis getula holbrooki, that had just emerged from the roadside grasses. This sighting was followed by several western slender glass lizards, Ophisaurus a. attenuata. One hour passed, then 2. No hoggies, and except for one DOR, no rattlers. And except at the end when we found a very defensive bullsnake, Pituophis catenifer sayi, the next evening was even slower—a couple of pheasants, a lot of slender glass lizards, and incessant lightning accompanying distant storms. But the third night was the charm. The baking hot day hadn’t seemed much different to me, but the snakes—at least the prairie rattlers, Crotalus v. viridis, found it more favorable. We found the first, a 28 incher, crossing a gravel roadway about a half an hour before sunset. We each took a dozen or more photos and put the snake off of the road. Then came a dozen glass lizards. And then another prairie rattler, this one slightly longer and of a darker color than the first. More pix. It was now nearly dark and for the next hour we saw only crossing glass lizards. Then another rattler. This one, larger still and very dark in color, was photographed in the car’s headlights with the assist of the camera’s flashes, and left as found. When we left for the southland the next day, we left happy. Continue reading " Prairie Rattlesnake"
Happy Rattlesnake Friday! The icionic Eastern Diamondback just chilling in the sand for our photo of the day uploaded by kingsnake.com user evil-elvis ! Be sure to tell them you liked it here! 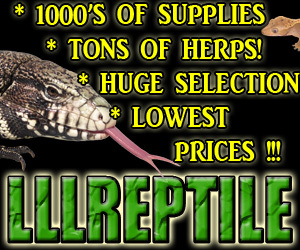 As always on Friday, we celebrate all of our venomous reptiles for their contribution to the world. It is our goal to help dispel the fears surrounding our beloved venomous creatures.